The cluster knit stitch is a great stitch to learn if you would like to introduce textures into your work. This stitch creates a raised cluster and adds an extra pop to your work and it is worked over an 8 row repeated sequence. If you are interested in incorporating a third needle into your knitting this is a great introduction and beginner stitch to do just that. The cluster stitch is great for sweaters, scarves, hats, baby clothes and more! Cable needle or 1 double pointed needle similar to the size of your knitting needles. Pro Tip: You can customize your cluster by adjusting how many times you wrap your yarn around the cluster. More wraps make a puffier, bulkier cluster and less make a flatter and thinner cluster. Cl St - cluster stitch. For the cluster stitch you will knit 3 stitches normally and move them to your cable needle. 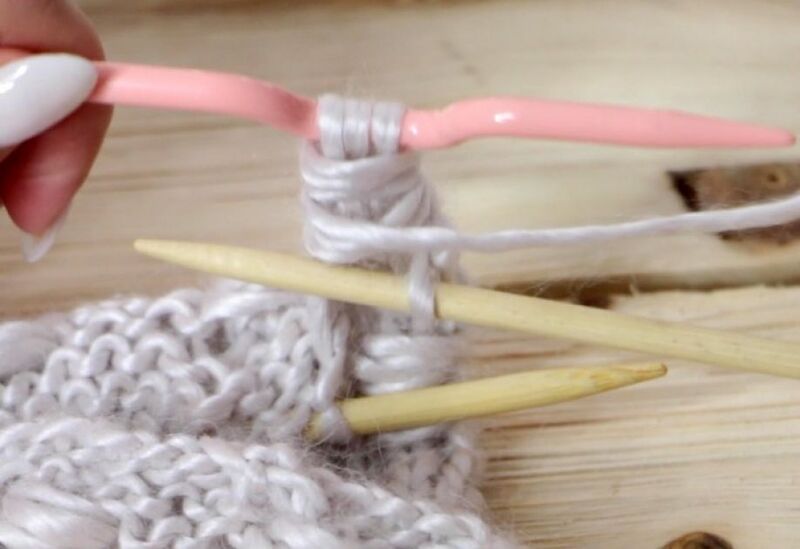 Take your working yarn and wrap it counter-clockwise around the 3 stitches, wrap it 6 times and then slip the stitches back to your knitting needles. Cast on multiples of 6 stitches, plus 5. I casted on 22 stitches in the tutorial. Repeat these 8 rows until your pattern reaches your desired length. Who doesn't love something easy-to-make and beautiful at the same time? The secret lies in the decreases.